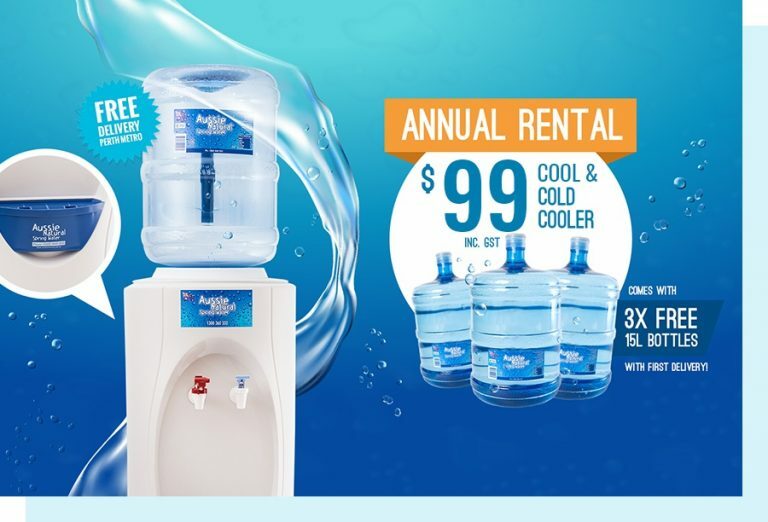 Rent water coolers your way, with annual rentals available, or take advantage of our 10+2 deal and stock up your water supply. *Cooler Rental is billed on an annual basis. Per day or monthly prices are for comparison purposes only. Offer only applicable to New Customers Only. 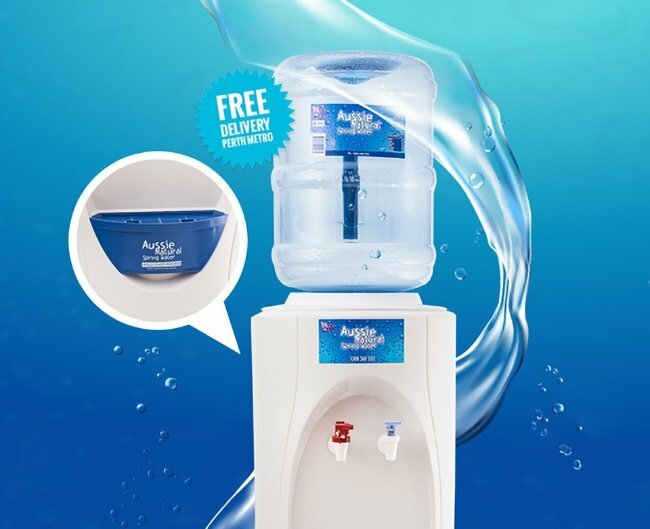 The best way to fresh spring water is through our cooler rentals from as little as 28c per day, also receive 3x Free Welcome Bottles*(conditions apply) as part of your rental. 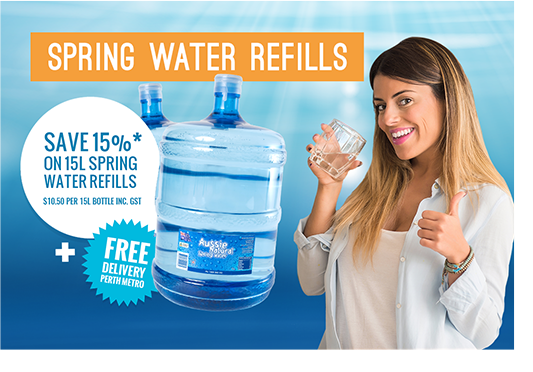 We’ve priced our refills 15% cheaper than our major competitors, so you can have a constant supply of fresh spring water without breaking the bank. 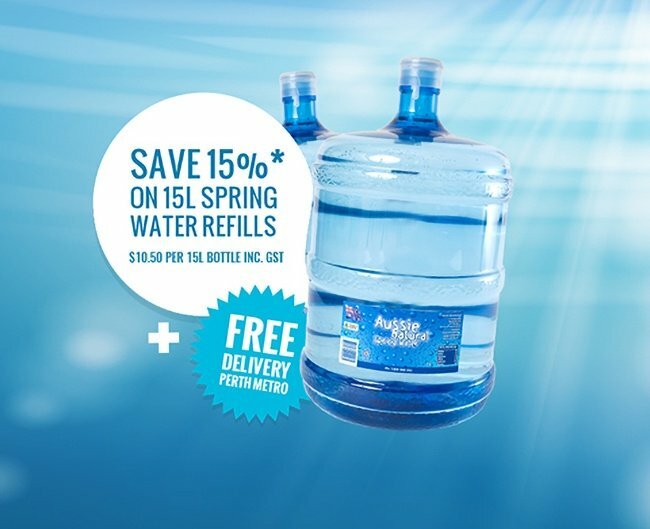 Our water cooler 15L refills are $10.50 per bottle with NO GST APPLICABLE. 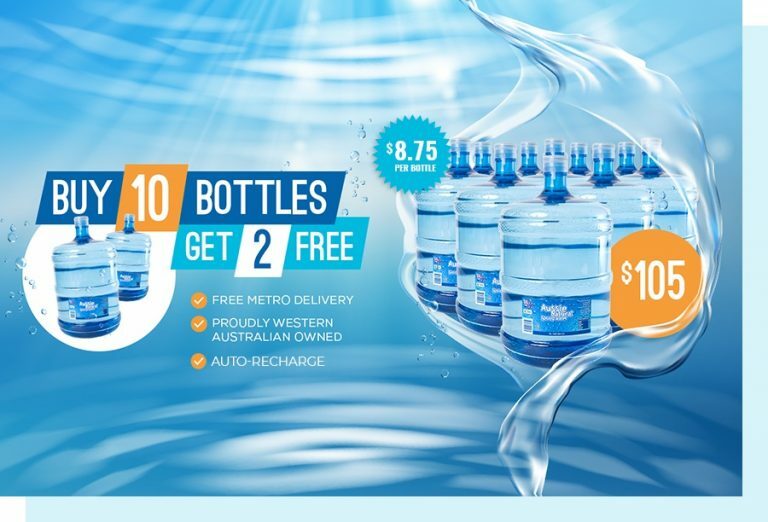 This price includes metro delivery in Perth. *Offer is only available on automatic direct debit via credit card only. 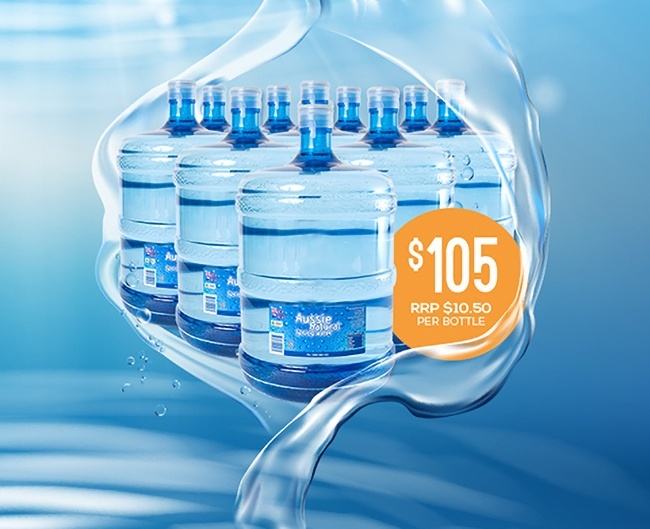 The best way to save on water is with our 10+2 deal, where you’ll get 12 bottles for the price of 10. These are credited to your account and can be claimed as required, and includes free metro delivery in Perth.